In 1981, Barbara Barlow, MD, then the Chief of Pediatric Surgery at Harlem Hospital in New York City, established an Injury Prevention Program which became the model for the Injury Free Coalition for Kids. 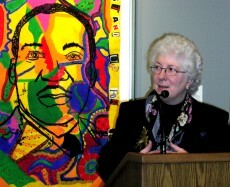 She did so in response to the large number of injured children that she observed. They made it apparent that the Harlem community needed to be informed, and that reducing injury would involve more than information. 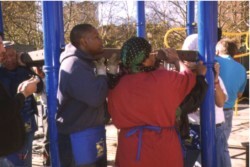 Elimination of community hazards, such as dilapidated playgrounds, and the development of safe play spaces would be essential for community safety. In addition, free or low-cost social activities for children centered on sports and cultural activities and directed by strong adult mentors would be needed to provide young people with positive peer groups to occupy their time during the hours of the day when most injuries occurred. 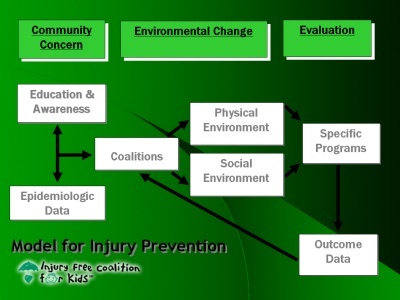 From these ideas, the Model for Injury Prevention was developed, which forms the basis of all Injury Free Coalition for Kids sites. Essential to this model was the Northern Manhattan Injury Surveillance System (NMISS) developed at the Columbia University School of Public Health (Davidson 1992). New York State uniform discharge data and medical examiner data were used to establish population-based injury rates for the hospital's referral community, which were then used to both direct and evaluate injury prevention efforts. Now measured by the NMISS, the high rate of serious injury to children in the Harlem community created the impetus for building the coalition of pediatricians, pediatric surgeons, other health care providers, city and state agency staff, local foundations, community organizations, and parents which support the Harlem Hospital Injury Prevention Program (Laraque 1995). The coalition combined resources and advocated locally and nationally for both community and child safety. From 1988 to 1998, major injuries requiring hospital admission decreased by 55% for children who live in Central Harlem. In the same period, violent injuries decreased by 46% in Central Harlem while they doubled in the neighboring community (Durkin 1996). With these statistics, the Northern Manhattan Injury Surveillance System demonstrated that the decrease in major injuries was for the targeted injuries, in the targeted age group, and in the targeted community (Davidson 1994). Through collaborative efforts, existing educational and activity-based programs have become institutionalized while new programs have been developed to address identified prevention needs for the Harlem community. For more information about the Harlem Hospital programs, please click on "New York - Harlem Hospital" in the Injury Free Sites section of this webpage. The facts are that injury is the leading cause of morbidity and mortality for children and young adults living in the United States, and children living in poverty have a higher rate of injury than children of more substantial means (Durkin, 1994) Having demonstrated effectiveness in reducing injury rates, the Harlem Hospital Injury Prevention Program, with two grants from The Robert Wood Johnson Foundation in 1994 and 1998, was successfully replicated in hospitals around the country and developed into the Injury Free Coalition for Kids. In order to widely reach Pediatric Trauma Centers in the nation's Children Hospitals, the Robert Wood Johnson Foundation funded NACHRI to work with Injury Free and hold a conference in Dallas for their members. Staff from the original centers presented their injury prevention programs discussed how they were developed. Thirty five Pediatric Trauma centers from Children's Hospitals attended. After the conference, Injury Free expanded from 6 sites to 40 sites with seed funding from The Robert Wood Johnson Foundation provided to each site. This funding was matched by the participating hospitals. When funding from The Robert Wood Johnson Foundation ended, the ACS Trauma Standards were written to include that an injury prevention coordinator, in addition to the Trauma Nurse Manager, was to be hired with salary support by level one trauma center. The injury prevention programs developed were to be based on local injury surveillance, addressing neighborhoods with high injury rates, with input from local coalitions of stakeholders. Barlow, B., Niemirska, M., Gandhi, R. Ten years' experience with falls from a height in children. J. Ped. Surg. 18: 509-511, 1983. Davidson, L.L., Durkin, M.S., O'Connor, Barlow, B. and Heagarty, M.C. The epidemiology of severe injuries to children in northern Manhattan: methods and incidence rates. Pediatrics and Perinatal Epidemiology 6: 153-165, 1992. Davidson, LL, Durkin, MS, Kuhn, L., O'Connor, P., Barlow, B., Heagarty, M. The impact of the safe kids/healthy neighborhoods injury prevention program 1988 to 1991. AJPH: 580-586, 1994. Durkin, M.S., Davidson, L.L., Kuhn, L., O'Connor, P., and Barlow, B. Low income neighborhoods and the risk of severe pediatric injury: a small area analysis in Northern Manhattan. AJPH 84: 587-592, 1994. Durkin, M.S., Kuhn, L., Davidson, L., Laraque, D., Barlow, B. Epidemiology and prevention of severe assault and gun injuries to children in an urban community. J. of Trauma 41: 667-673, 1996. Durkin, M.S., Laraque, D., Lubman, 1., and Barlow, B. Epidemiology and prevention of severe traffic injuries to children in an urban community. Pediatrics 103: electronic pages. June 1999. Laraque, D., Barlow, B., Durkin, M. and Heagarty, M. Injury prevention in an urban setting challenges and successes. Bulletin of the New York Academy of Medicine. 72: 16-30, 1995. Spicer, RS, Miller, TR, Durkin, MS, Barlow, B. A benefit cost analysis of the Harlem Hospital Injury Prevention Program, Injury Control and Safety Promotion. 11:1, 55-57, 2004. Pressley, JC, Villar, S., Barlow, BA. Ethnic disparities in injury of children and adolescents due to falls from buildings and structures in the USA. Applied Environmental Science and Public Health 1:2, 799-87, 2004. Pressley, JC., Barlow BA. Preventing injury and injury-related disability in children and adolescents. Seminars in Pediatric Surgery. 13: 2, 133-140, 2004. Pressley, JC, Barlow, B., Durkin M, Jacko, SA Dominguez, DR, Johnson L. A national program for injury prevention in children and adolescents: The Injury Free Coalition for Kids. Journal of Urban Health 82: 3, 389-402, 2005. Pressley, JC, Barlow, B. Child and adolescent injury as a result of falls from building and structures. Special Feature. Injury Prevention11: 267-273m 2005. Pressley, JC, Barlow, B., Quitel, L., and Jaffri, A. A model for improving access to comprehensive injury risk assessment and risk factor reduction in older adults populations. American Journal of Public Health. 97:4, 676-678, 2007. Pressley, JC, Barlow, B., Kendig, T., Paneth-Polak, R. Twenty year trends in fatal injuries to very young children: the persistence of racial disparities. Pediatrics 119:4, e875-884, 2007.